Celebrating 16 years in business, the AJ Novick Group, Inc. has been offering high quality and effective programs in the field of stress and anger management as well as a variety of online programs. Our online classes include programs in, fan conduct for professional sports and colleges, anger management, DUI*, drug and alcohol awareness, theft education, domestic violence, sexual harassment and parenting. 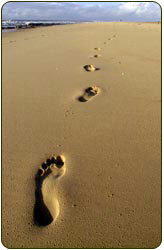 Our programs are designed for business professionals, court ordered clients and those seeking personal growth. We are an ideal resource for consumers as well as corporations and human resource staff needing to take an approved and accepted program. We also offer live anger management classes and parenting classes in Orange County, home study courses, accelerated anger workshops, executive coaching for employees, on-site workplace trainings and programs, and classes for disruptive physicians. Additionally, we offer a wide range of certification trainings for facilitators in both anger management and parenting. Anger Management, Parenting and Co-Parenting Classes (Weekly or Weekends available): Our courses are an ideal way to learn skills to improve relationships in a variety of contexts. Group classes are often taken to increase empathy, decrease stress, and improve communication and listening skills. Our programs are frequently sought out by corporate executives, individuals and families as well as those requested by the court or as part of a probation requirement. Our courses are skill building, educational and use validated, evidence based techniques. Participating in classes can be a cost savings as well as help improve relationships. Start today! Our programs are court accepted and approved. Certificate of completion awarded. The AJ Novick Group offers Alcohol Education, DUI, MIP, and Drug Awareness classes in a variety of lengths (4,8, 10, 12,15, 16, 20, 24, 36, 45, 60, 78 hours) for court, probation, DMV, school, or self improvement. Our online courses are interactive, can be started instantly after registration and provide both a proof of enrollment and certificate of completion, which can be downloaded for free. Classes are designed to teach students the necessary skills to make valuable changes to the lifestyle, habits and behaviors. Click here to Register or Learn more *The CA DMV does not allow online classes and our online DUI class is not allowed or accepted for a CA DMV requirement. For CA residents, you must go to an in person class. ABC news 20/20 interviews Dr. Ari Novick on their investigation about why neighbors behave badly. USA Today features Dr. Novick's Fan Conduct programs for the National Football League (NFL). Dr. Novick, in collaboration with the NFL has developed a cutting edge way of addressing fan safety through online education at Fan Conduct Class. We offer a wide range of face to face programs to meet the needs of busy physicans and executives. Our programs are designed for physicians being referred for "disruptive behavior" and/or executives who need help improving interpersonal skills. We provide full day intensive one/one coaching that can be provided at your location or at our office in southern California with follow up sessions tailored to the specific needs of the client. Dr. Ari Novick will provide all the coaching. Please contact us for a proposal and click here to get more information. References are available upon request. Sometimes it is nearly impossible to find a class near one's location. If you have prior approval from the court, or you have been given permission to take a class online for a court or probation requirement an online class is the perfect alternative. Our online programs are an ideal way to learn effective skills. We teach the same set of skills in our online programs as we do in our person classes. We have helped corporations and governmental agencies, such as Chevron-Phillips, Raytheon, National Football League (NFL), Major League Soccer (MLS), Mission Hospital, Southern California Edison, Toshiba, United States Airforce, Toyota Motor Corporation, Verizon Communication, and many others. Click here for a partial client list. Our curriculum has been approved for use by Probation Departments, Courts, major corporations, hospitals, law offices, the National Football League, and many governmental agencies. It has also been used by the California State Board of Corrections for the training of correctional staff. Our anger management model uses numerous evidence based, empirically validated techniques. We are a NAMASS approved program. Gain skills in stress management to better cope with life's challenges and the impact of others. Our model uses numerous evidence based, empirically validated techniques, and is the most expansive anger management curriculum available. Laguna Beach - January 1st, 2019 -- December 31st, 2019 New Dates and Days! We recommend a minimum of 10 sessions for voluntary, HR, couples, and business referrals. We offer 10, 12, 22, 26 and 52 week classes in Anger Management and Parenting for court or probation ordered or mandated clients. All participants will receive unlimited progress reports and a "Certificate of Completion". All classes are open ended and participants can begin at any time! Classes are held at 333 3rd Street, Suite 4, Laguna Beach, CA 92651. Phone us at (949) 715-2694. We were approved by the O.C. Probation Department in 2004. 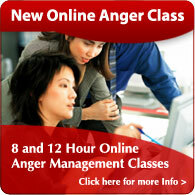 Visit Anger Class Online for details. Men's Health Magazine online feature Ari Novick, Ph.D. as an expert on why MLS fans behave badly and what can be done about it. Dr. Novick is selected again for the 2018 annual National Security Conference for the NFL. He will be presenting on updates related to the Fan Conduct Class program. 20/20 Interview with Dr. Ari Novick on why neighbors behave badly. New Phone and Skype DUI, Alcohol and Drug Evaluations We are pleased to annouce that you can complete your DUI, Drug or Alcohol Assessment anytime from any location in the U.S.
San Jose Mercury News Talks to Ari Novick About the 49ers Expert, Dr. Ari Novick was interviewed about his personal experiences attending 49er games in the 80's as well as his work with the NFL to improve the game day experience. Click here for the full story. Refinery29 Interviews Dr. Novick on Holiday Stress Manaagement Dr. Novick talks about stress management and holidays. Read more. Men's Fitness Magazine Interviews Dr. Novick -October 2012 Issue on News Stands The article is on page 36, titled "Fists of Fury". Dr. Novick dispells some of the myths about common stress management practices. USA Today Writes Story on Dr. Ari Novick's Fan Conduct Classes. AJ Novick Group, Inc. and Century Anger Management are Contracted by the U.S. Marine Corps. The United States Marine Corps Family Advocacy Program has selected the AJ Novick Group, Inc. and Century Anger Management to provide anger certification training and materials through all military installations throughout the U.S. This new program will be rolling out in the coming months. CNN News Features guru and expert, Dr. Ari Novick Dr. Ari Novick was featured on CNN’s network show Issues with Jane Valez-Mitchell as their panel expert covering the recent Jet Blue incident involving the airline flight attendant who lost his cool. Google Selects AJ Novick Group, Inc. / Anger Class Online as Favorite The AJ Novick Group, Inc / Anger Class Online is selected by Google as a user "Favorite Place" due to the popularity of our website, products and services. We are one of less than 250k business nationwide to receive this recognition, which is less than 1% of all U.S. businesses. We received a special decal that only Google selected businesses receive that will be placed on our office door. This decal has a bar code which clients can scan to see reviews and get more information on our programs. Anger Evaluation and Assessment now Available! The AJ Novick Group is now providing their in person anger assessment and evaluations online! Assessments are often helpful in determining if a class should be taken as well as which areas a person needs to focus their efforts on to improve. Our Assessment is an educationally based questionnaire which can be taken from any location in the U.S. and is then evaluated and scored by Dr. Novick. Dr. Novick will then provide a write up explaining the results and make recommendations on whether or not a class would be appropriate. We offer two evening classes for anger and two for parenting and co-parenting during the work week for adults. There is a class on Tuesday and another class on Thursday. It is recommended that you attend weekly, and one can participate in either class, but not both classes the same week. 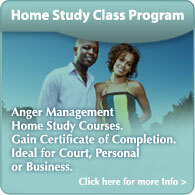 Our anger classes usually have about six to ten participants and it is a mixed gender class. Our anger management classes are also open ended. This means we have clients begin and end their program at different times. The advantage to an open ended class is that one does not have to wait for a new program to begin, rather, one can start any time. Each week we cover a different skill from our client workbook, "Anger Management for the Twenty-First Century" covering the 8 tools of anger control. Our participants find our classes to be a great learning experience, and also much more fun and interesting than they ever imagined! If you or a loved one is struggling with anger, or you need to take a class for as a requirement of the court or employer, we urge you to try out one of our programs. We are confident you will be pleased with the results. We also offer a variety of weekend workshops that are four hours in length. For details on these classes, click here. Why are Classes so important? Our anger and parenting classes are based on an educational model for teaching people how to change their thinking and behavior. Courses are meant to be a skill building, educational, instructional, and tangible way of learning concrete skills. Our expectation is that after every class participants will leave feeling like they've learned a new skill to better improve their relationships with family members, co-workers, friends, significant others', and those they care about. These group format programs are not group psychotherapy or "anger therapy". While we believe their can be tremendous value in group psychotherapy, our classes are designed and structured completely differently and therefore are not considered psychotherapy. All participants are required to use and bring with them to class our highly acclaimed client workbook, "Anger Management for the Twenty-first Century". The use of a client workbook for our program makes us unique because so few programs actually use a structured approach to teaching fundamental skills. Second, we offer pre and post assessments for our participants. This will help to better understand your personal strengths and weaknesses, so that the focus of work in anger management is clear and predictable. Classes improve important life skills which can help further achieve business and personal goals. We are so confident in the quality of our programs that we invite any potential participant to "sit in" free of charge for their first session. So what are you waiting for? Get started on improving yourself and your relationships before it's too late! We also offer court approved classes for those that have a court or probation requirement. Class duration will depend on the length requested by the judge or probation, but typical requirements tend to be for either 10, 12, 16, 26 or 52 classes. What if I don't want to participate in a group, can I come individually instead? The answer to this question is yes. Some people prefer a more one/one experience, which is often called coaching or executive coaching for anger management. For more information either click on the highlighted link or call our office, 949 715-2694. Our programs are ideal for couples, individuals, business professionals, court referrals, and those seeking to improve skills. Most of us know that anger can ruin relationships. Why wait until your anger has destroyed a meaningful relationship? Get the help you need today. Ari Novick, Ph.D. is Licensed Marriage and Family Therapist and a certified anger management professional for both adults and adolescents. The AJ Novick Group is approved by the Board of Behavioral Sciences as a continuing education provider in the state of California (BBS PCE #3128). The AJ Novick Group commonly provides anger management and parenting classes for probation, court and self-referrals in Orange County. Dr. Novick is past adjunct professor of psychology at Pepperdine University's Graduate School of Education and Psychology. The AJ Novick Group is an approved and verified member of the BBB with an A+ rating. The AJ Novick Group is a leading provider of Stress and Anger Management. The AJ Novick Group offers anger management classes in our southern California office for both adults and adolescents. We also offer a variety of corporate trainings to teach your management staff and employees skills in effective communication, problem solving, negotiating, conflict resolution, forgiveness, stress management, empathy, and how to have better judgment and impulse control. The AJ Novick Group is proud to offer a variety of home study classes for both adolescents and adults to accommodate busy schedules. 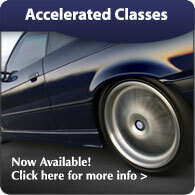 We also offer accelerated classes on the weekends for both adults and adolescents. The AJ Novick Group can accommodate court ordered (mandated or probation) clients as well as voluntary individuals, business professionals, couples, families and adolescents.